The work of the BJC reflects a belief that every individual has a right to employment and to realise his or her potential in the labour market. This belief is core to the BJC philosophy because of the important role paid employment plays in determining the psychological well being of the individual and the quality of life of individuals and families in our society. An independent income from employment is the main route out of welfare dependency and poverty. By supporting our work you are supporting individuals to access training, education and employment and helping the BJC to achieve its ultimate objective to reduce the levels of poverty in our community. You can support the work of the BJC by making a donation. Donations may be unrestricted in use, or you may direct the gift to a particular service, such as supporting the development of our guidance tools, development of a specific project or course. You can provide support to a particular group such as single parents, young unemployed or individuals recovering from drug problems. You could also support individuals to access 3rd level education. Donors are welcome to make a single, annual gift, or extend their commitment over a period of time. Your gift today expresses your support for individuals who wish to improve their lives and the lives of their families by undertaking steps leading to sustainable employment. Because BJC is a non-profit organisation with charitable status (Registered Charity Number CHY8258) approved for the Scheme of Tax Relief for Donations to Eligible Charities and other Approved Bodies under Section 848A Taxes Consolidation Act 1997, most donations qualify for tax charitable deduction. For more information on this please follow this link here. 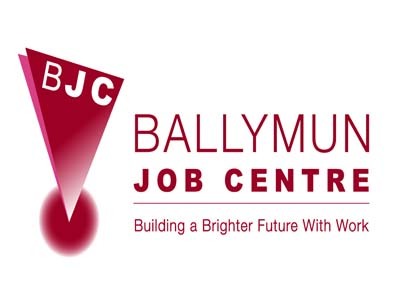 If you are interested in finding out more about how you can support the work of the BJC or if you would like to make a donation to the Ballymun Job Centre, then please click on the Contact Us button below and follow the steps.